This little guy has been sitting around pleading with me to mold him. Since I decided that time had come I thought I’d also take a few pictures of him before he heads off to the scary world of molding and casting. We’ll have to see what becomes of him. 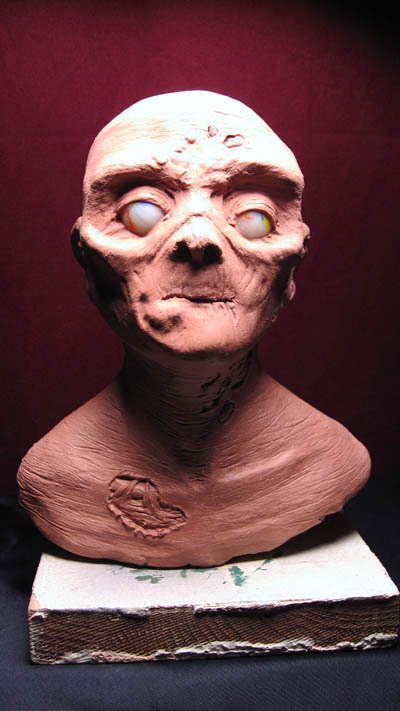 This entry (Permalink) was posted on Friday, April 27th, 2007 at 9:51 pm	and is filed under Sculpture, zombies. You can follow any responses to this entry through the RSS 2.0 feed. Responses are currently closed, but you can trackback from your own site.